Optimizes the value of overbought and oversold on each new bar. This expert strives to choose the best values for a simple strategy where it sells when the indicator crosses below an overbought level and executes a buy when it crosses above an oversold level. The best overbought and oversold level is calculated on each new bar according to how that value would have performed during the optimizing periods which can be specified. Unique number for this EA - can be any integer value. Optimization periods(bars) - number of bars to optimize. Make expert aggressive? Risky - if true expert takes riskier trades. Reverse trading - if true expert takes buy trades on sell signal and vice versa. Only one order open at a time? - if true expert opens only one order at a time. Static Lot size of orders - select the size lots you would like to trade. 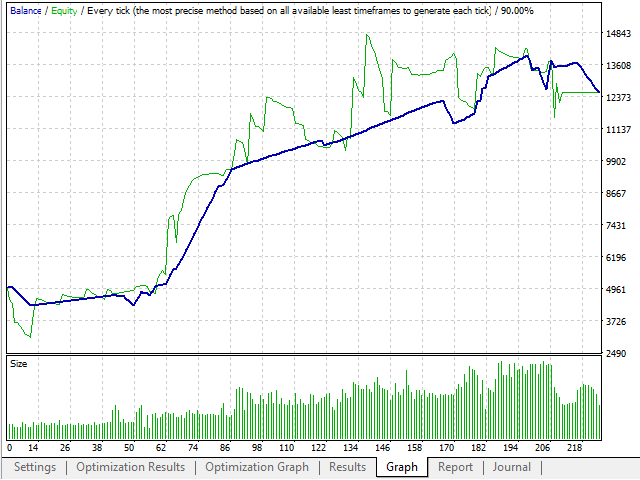 Use Dynamic lot sizing - if true lot size is determined by percentage risk and stoploss value. Balance % to risk on each trade(2=2%) - specify the percentage of your balance you would like to risk on any one trade. Choose which index indicator to use - choose which index indicator to use. Top most value you would trade at - default value is 100. Bottom most value you would trade at - default value is 0. Timeframe for index indicator - select which timeframe you would like to use with the indicator. 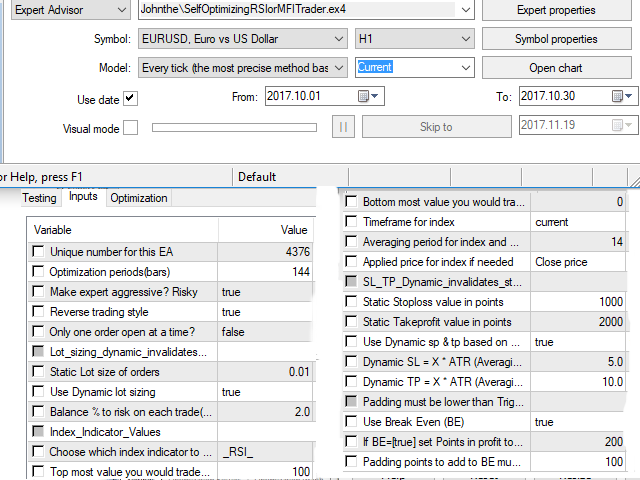 Averaging period for index and ATR calculations - input the averaging period for the indicator above and the average true range default value is 14. Applied price for index if needed - select which price series to apply the indicator to, default is price close. Static Stoploss value in points - input the stoploss value in points. 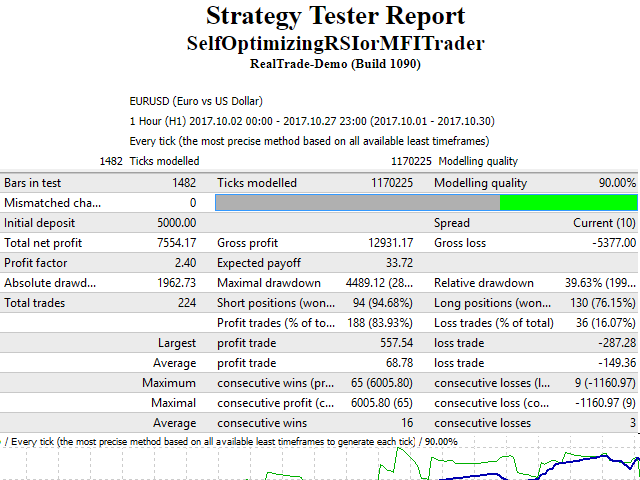 Static Takeprofit value in points - input the takeprofit value in points. Use Dynamic sp & tp based on ATR multiple? - if true stoploss is based off of a multiple of average true range indicated below. Dynamic SL = X * ATR (Averaging Period) - The stop loss will be the value you place here multiplied by the Average True Range (ATR). Dynamic TP = X * ATR (Averaging Period) - The take profit will be the value you place here multiplied by the Average True Range (ATR). Use Break Even (BE) - if true breakeven settings are implemented. If BE=[true] set Points in profit to trigger - If true and the trade gets to these many points in profit the stop loss will be moved to break even. Padding points to add to BE must be lower than trigger - This is a number of points of profit you want to lock in when moving to break even. This robot uses brute force to find the best settings, which may not be ideal for computations, however since it only needs to be performed once on each new bar the computational time should be minimal. Additional details can be found at the code base link on which this product is based on. The great majority of trades were losses. That means this Robot should be really useful when you run it on a Demo account and always open opposite trades on your real account. For this it deserves 2 STARS, if for the real automated performance, then it would be zero STARS. To All Programmers, Traders, And Users. When your ideas has serious Maths within it, strong confidence, and Integrity with your Business communication, You will prove your Expert to be working and not just with graphs of historical demo account, or back testing, but real live account, with proof that your expert is running on that account. Only then I would say that you are doing good business as John Davis, But if you want to make 10,000 USD on your expert with no real proof, then your customers should be warned that scam artist can't really make money, or keep it to the end, because their soul will find a way to teach them a lesson. Changed the color of aggressive buy and sell orders. Also placed the correct comment on buy orders. Fix a bug whereby it defaulted to RSI use only.